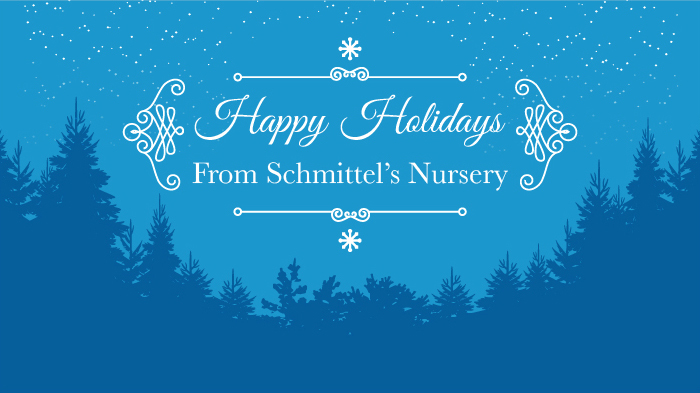 The Schmittel’s Nursery family is wishing you and your family a Happy Holiday Season and a Happy New Year. Thank you for everyone’s support throughout 2016. We are truly fortunate to have customers like you. We will be closed December 24, 2015 through December 27, 2015 and December 31, 2015 through January 3, 2016.